Something about the learned role of the outsider seems to strike a chord, even in people who I would not expect to relate to that. This has been a joyous and humbling discovery and a reminder of lessons I learned while growing up as a TCK: we all have more in common than we know. My dream is to take the show to festivals and international schools worldwide. Jones herself has experienced sexual harassment herself as an expat. In her September 2013 Djibouti Jones blog article, Jones states, I listen to the stories of the women around me. And I say, me too. That happened to me too. I tell my story, I don’t hide it because it is embarrassing, because my reaction wasn’t what I wish it were. I hear the women around me say, me too. And say, I’m sorry. And say, I’m angry with you, for you. I believe we are the walking wounded. Yes, we are wounded, but yes, we are walking forward, out the front door. Tofugu, a “wonky Japanese language and culture blog” which published The Kikokushijo Dilemma: , by TCK Shoko, in late November last year, addresses Japan’s internationalization in a February article by Austin. Tofugu touches on other topics TCKs can relate to throughout the year, such as the April article on mixed-race or “half” Japanese by Mami and a July article on experiences of being different from the identity associated with ones physical features, in More Than Gaijin: Specific Ethnic Groups Living in Japan, by Laguna Levine. Another article that TCKs may find interesting, which discusses hidden populations and explores the concept of whether a certain psycho-social phenomenon is culture-specific to Japan, is All About Hikikomori: Japan’s Missing Million by Kaitlin Stainbrook. The Australian Network of Student Anthropologists features researcher Danau Tanu in March, about her work with TCK’s, such as her study, TCK’s Unpacking ‘Third Culture Kids’: the Transnational Lives of Young People at an International School in Postcolonial Indonesia. 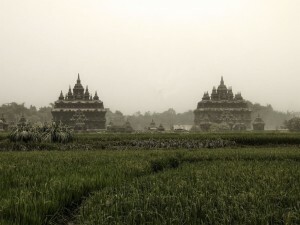 TCK Tanu, a 2014 FIGT Scholar, completed her PhD in Anthropology and Asian studies at the University of Western Australia on mobility and international education in Indonesia. Tanu also presents in July at the Asian Studies Association of Australia 2014 conference at University of Western Australia, Perth on “Becoming ‘international’: the cultural (re)production of elites and campus dynamics at an international school in Indonesia.” Danau’s other work can be viewed on her University of Western Australia profile, including publication Engaging Indonesia’s Youth (December, 2014), article “Are international school students Indonesian enough?” (July, 2014). 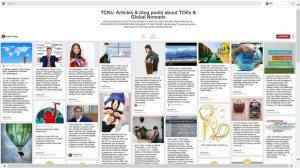 TCKid launches its new program in April, Research Bridge: Linking Globally Cross-Cultural Researchers and the Public. This new program aims to 1) cultivate the relationships between globally cross-cultural researchers and the public, 2) facilitate the increase of data, statistics and information about the TCK, Cross Cultural Kid (CCK), global nomad and expat population, and 3) foster the public’s access to research and information about thesepopulations. TCKid’s first Research Bridge scholarship beneficiary is Katia Mace, whose study was successful. Please stay tuned for more updates on the Research Bridge program. Summertime Publishing, run by Jo Parfitt since 1997, publishes three books in 2014, starting with Valerie Besanceney‘s B at Home: Emma Moves Again in April, Douglas W. Ota‘s Safe Passage in October, and Christopher O’shaughnessy‘s Arrivals, Departures and the Adventures In-Between in December. 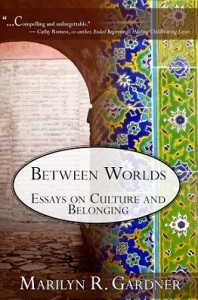 In November, The Worlds Within: An anthology of TCK art and writing – young, global and between cultures, edited by Jo Parfitt and Eva Laszlo-Herbert, is released in November. The anthology features artwork and writing about the experiences of young TCKs worldwide. 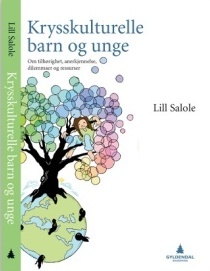 Lill Salole of Kyrsscultur (“Cross culture” in Norweigan), “For de som lever der kulturer krysses,” publishes the second edition of Cross-Cultural Kids: Belonging, Acknowledgement, Dilemmas and Resources in Norwegian in April. 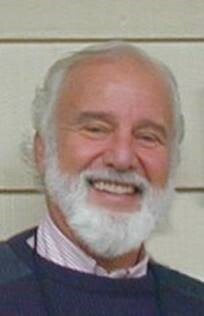 The first edition was published in 2013. In May, Paula Vexlir, a clinical psychologist who specializes in working with the Spanish-speaking expat community, launches her blog ExpatPsi to generate resources, articles and psychology available in Spanish for expats, TCKs, ATCKs and those who serve TCKs. 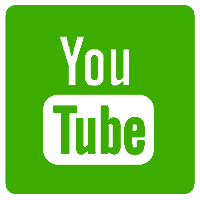 ExpatPsi discusses various topics that affect TCK’s, such as grief, expat parenting, expat partners, and other topics. Vexlir also created a project to end the year that involve expats sharing what they have learned (with some interviews in Spanish and some in English) named “Compartiendo Saberes”. Visit the fanpage for updates, such as the parenting workshop coming up on 2015 to help parents ease their children’s transitions. Tayo Rockson, speaker, author, podcaster and cross culture expert launches As Told By Nomads in August and UYD Magazinein November. As Told By Nomads, which features interviews with global nomads, Third Culture Kids, entrepreneurs and multicultural individuals who are leaders in business, culture, travel and global affairs, is recognized as number two among Entrepreneur’s Top 25 in Business Podcasts for Entrepreneurs. Rockson also pens his first eBook, The Ultimate Guide to TCK Living and becomes a contributing writer for Huffington Post and Global Living Magazine the same year. Rockson talks about what he finds beautiful about TCKs and other topics in his interview on TCKid Talks. TCKid Philippines, a local chapter of TCKid,holds its first tckid table talks, a major networking event at co.lab in Pasig City in Metro Manila. The event features speaker Maria Ressa, founder of Rappler, journalist, author, and adult TCK, who shares her experiences and insights as someone who grew up in the Philippines and the U.S. Twenty TCKs and allies attend the event. Future events will be organized quarterly. TCKid remembers the lives lost in and loved ones affected by 2014 international flight disasters: Malaysian Airline flight MH370, reported missing en route between Kuala Lumpur (KL) and Beijing on March 8. Malaysian Airline flight MH17, which was shot down and crashed en route from Amsterdam to KL on July 17. Malaysia-based, Indonesia operated AirAsia flight QZ8501, which crashed en route from Surabaya, Indonesia to Singapore on December 28. The most shares of the year from our Facebook (FB) fanpage, at 148 reported shares, 1545 people reported reach: the Alienation of Extraordinary Experiences, based on Harvard study conducted by Gus Cooney, Daniel T. Gilbert and Timothy D. Wilson (2014), shared on October 21. 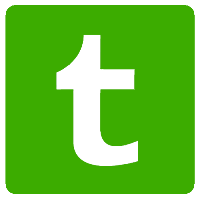 TCKid is a 501(c)(3) non-profit public charity and does not advertise for for-profit business purposes. 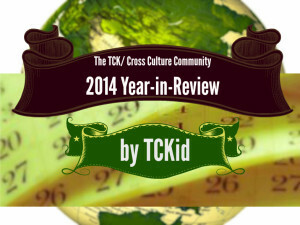 Mention of any entrepreneurs and small businesses in the context of this 2014 Year in Review is for educational purposes and serves to depict TCKs in leadership positions and relationships TCKid has with supporters that contribute to TCKid’s mission.